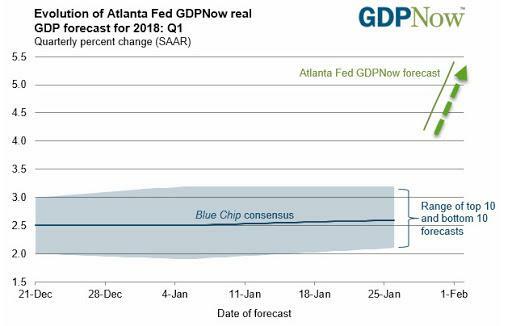 The first estimate of Q4 GDP may have been a dud, with soaring imports resulting in a disappointing 2.6% annualized print, but that hasn't stopped the Atlanta Fed to unveil its most bullish GDP forecast in years: moments ago, the regional Fed revised its initial Q1 GDP nowcast estimate from 4.2% to a whopping 5.4% following today's strong ISM print. 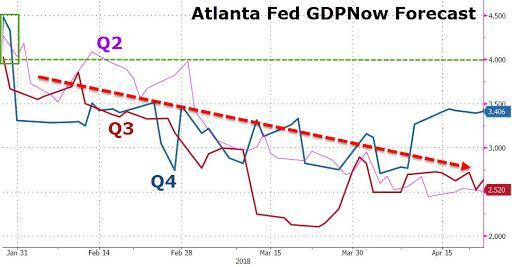 Then again, the Atlanta Fed is best known for its initial high-balling of GDP estimates which then gradually fade as the quarter progresses and as real data replaces estimates from sentiment surveys such as the ISM. 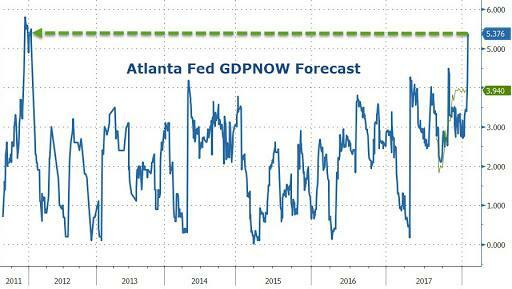 Finally, keep in mind that the blistering Q1 2012 GDP, which was also supposed to print north of 5% was eventually marked down to just 0.8%.